Ushainfosoft, it's a website designing company in aurangabad, with a team of skilled designers and programmers. We offers creative and professional website design. We offers website to small and large scale business for growing information world wide. Website Design its mean of allowing business to sprade their information world wide. Every business is divided into their service based functionality. Each business provide services. Website design its the part of business to divide business information into layouts and providing information through the contents and graphical images. Website Design ideas will provide efficient and creative way for displaying data into standard formats. Each and every section provide clean and clear content, images and concepts that will helps to build the creative website design. Designing of website means that will easily available on each browser, website will easily feet into each mobile, desktop, and tablet. Now a day's each customer want their website to see mostly in mobile so we are already providing RESPONSIVE WEB DESIGN service . That will make your website to easily seen in mobile, desktop and tablet devices etc. Website Design is the standard impact of business. Website provide the customers and visitors form online visiting website. Clean and standard layout is the main and important part of website. The most surprising revelation was that design elements are exponentially more powerful than content . When asked to describe why they mistrusted a website, 94 percent of comments were directly related to web design elements, while only 6 percent referenced specific content. While the study was directed towards health sites, it seems practical that the same basic principles would carry over to other industries. This excellent infographic brings to light the importance of good web design in achieving successful conversions and lists the major stumbling blocks to a good user experience. With growing competition in every sector, users have more options online and are becoming less tolerant towards bad design and usability. Static website showcases your products, services and information in an effective and navigation friendly manner. It is the most cost effective way to show your products online and make your business visible online on the worldwide web. Dynamic web pages are user input driven. A Websites' content is generated at the time of access by a user while interacting with the user online. Dynamic web pages are a basic part of Web 2.0 version which facilitates information sharing across multiple websites. Dynamic pages can change every time when they are loaded without making any changes. Dynamic web pages can also change their content based on what user do, like clicking on some text or an image. If the information stored in the database changes, the web page connected to the database changes accordingly and automatically without human intervention. A Dynamic website is quite suitable where updating the products or services is very frequent like e-commerce websites or a CMS. 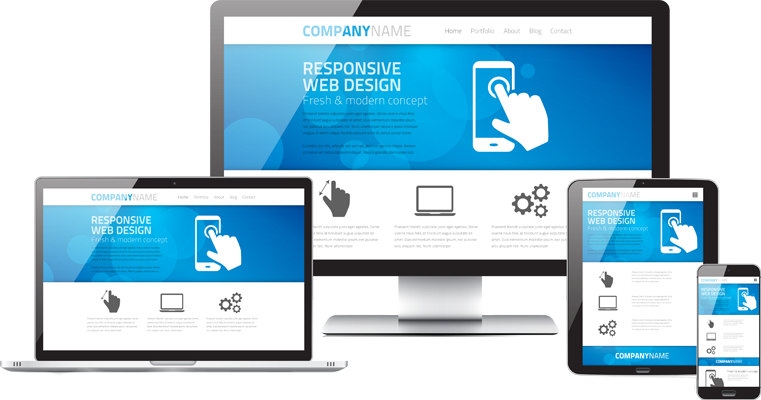 Responsive Web design is the technique that suggests the designing of website that should respond to the behavior of browser screen size and orientation. Responsive web design contains grids and layouts, images and use of CSS media queries. As the user turn to use from their laptop to iPad, the website should automatically change the layout with the resolution, image size and scripting abilities. In other words, the website should have the technology to automatically respond to devices. Responsive web design (RWD) will help to avoid making of another web page design for every resolution screen. It helps to perform the website appearance and usability of website in each and every browser, ipad, tablets, mobiles, smartphones. We offers website design service in Nashik, Beed, Nagar, Osmanabad, Mumbai, Pune, Jalgaon, Jalna, Amrawati, Sillod, Panwel,Waluj, Offering responsive website design service in India.